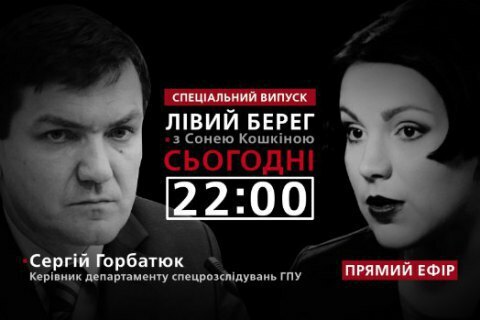 Watch live on Channel 24 at 10 pm Kyiv time on 30 November. Few people believed the idea to question the fugitive Viktor Yanukovych in a Rostov courthouse was realistic. Yet it was done. What did Viktor Yanukovych said that was important for the investigation and prosecution, can his testimony be used in the high treason case? Is it true that cases on the Maidan and immediately against Yanukovych are being sabotaged in courts? The head of the Department of Special Investigations of the Prosecutor-General Office Serhiy Horbatyuk will answer these questions in the special issue of the program Left Bank with Sonya Koshkina. Watch live at 10 pm Kyiv time on 30 November on Channel 24. Poroshenko: missile tests in southern Ukraine "successful"